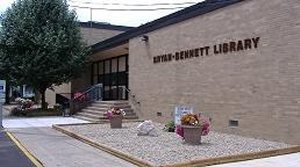 Nicholas Waller will lead local residents on a unique educational journey about love and mythology in a Valentine-related presentation at Bryan-Bennett Library on Wednesday at 2 pm. Waller, who is the son of Mike Waller, is a recent graduate of Eastern Illinois University. He earned his Master’s in history in May 2018. Waller is a circulation clerk at Bryan Bennett Library. His program will focus on how the Greeks and Romans viewed love. Cookies and coffee will be served at the event. There is no pre-registration. For more information, contact Bryan-Bennett Library at 548-3006 or stop by at 315 South Maple in Salem.